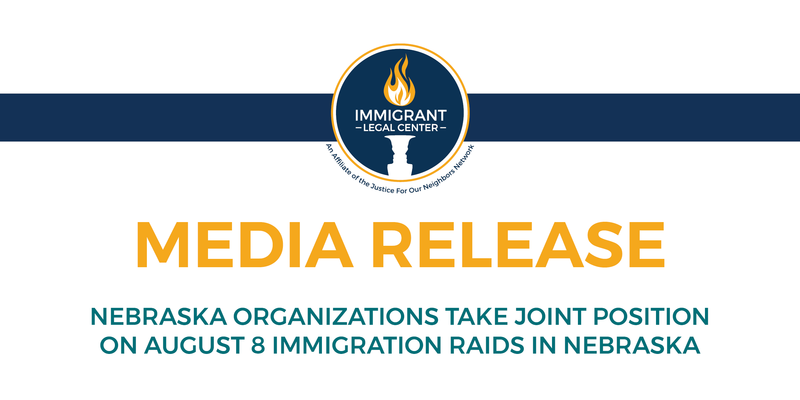 “Raids like those reported today send shock waves of devastation across Nebraska communities, breeding fear and trauma. We hear from people across our state who live in terror of being separated from their families. This unjust damage spreads as our neighbors are scared to lead their lives, go to work, or leave their children, who also are often traumatized, in the care of schools,” said Sergio Sosa, executive director of the Heartland Workers Center in Omaha. Congress has a duty to uphold human dignity. Nebraskans are urged to call on their members of Congress to stop this harm caused by the White House’s anti-immigrant policies and act on immigration reform legislation that resolves our outdated system, keeps families together, and allows hardworking Nebraskans to continue to contribute to our communities. The removal process happens quickly. It is important that detainees and their families know the Pro Bono Detainee Project is available for the urgent legal needs of those in detention. Forms are available at immigrantlc.org/get-help/ and should be completed at once.